These Mirrors Will Fit ALL YEAR Miata's 1990 to 2005. 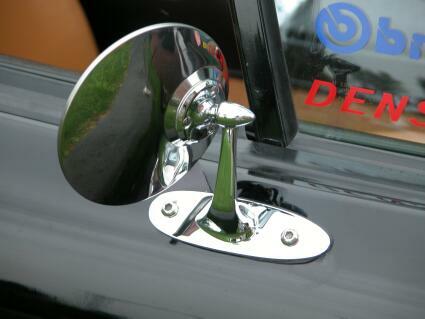 Give your Miata that Vintage look with these beautiful chrome classic style mirrors. Mirrors are fully adjustable for any size driver. Driver side mirror is a flat mirror, and passenger side is convex for better viewing. Power mirrors require no modification what so ever. 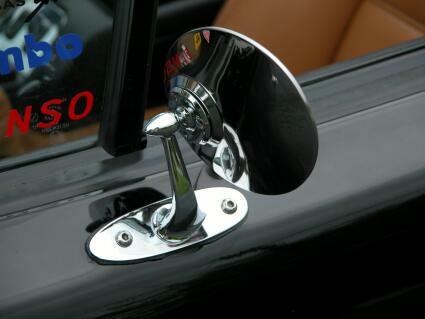 Simply remove your old mirrors and bolt on to existing holes. hidden and goes undetected should you ever install the original OEM mirrors. The triple chrome plating is done to the highest industry standards. Kit comes complete with new gaskets, polished stainless steel mounting screws, and complete instructions. These mirrors are an original East Coast Miata Design. Price quoted is for a Pair of mirrors. Driver side and passenger side. These mirrors are now made to order only. Payment MUST be made in full at time of ordering. The mirrors will ship approx. one week after the order is placed. Price: $159.95 + $15.00 Priority Shipping.